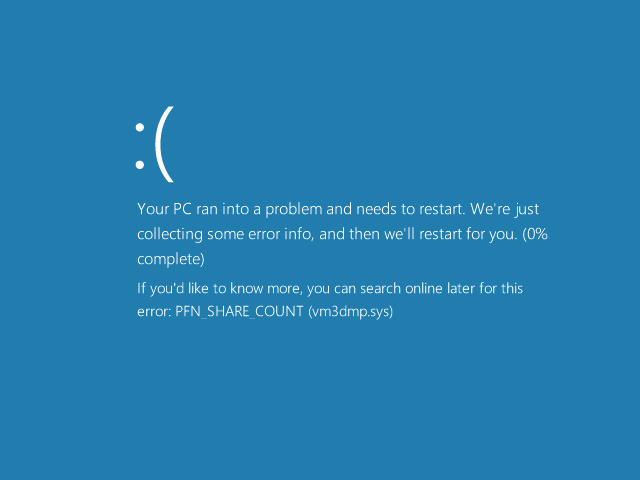 When migrating a physical machine to a virtual machine you may run into the PFN_SHARE_COUNT Blue Screen while installing VMware Tools. 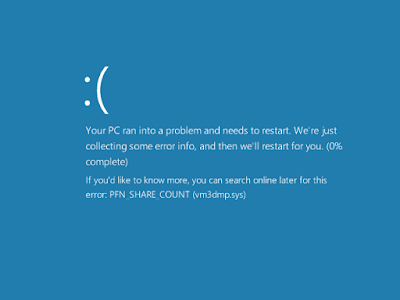 The BSoD is caused by vm3dmp.sys, which is the VMware 3D graphics driver. To resolve the problem, uninstall any existing graphics drivers (inculuding USB display adapters) in the virtual machine before trying to install VMware tools again. In my case the DisplayLink driver was the problem.